For decades, the preferred material for solar cells has been silicon, which provides the best return on investment in terms of energy production. Their counterparts, thin-film solar cells, while inexpensive and more robust, have remained a distant second because materials science challenges have limited their performance — until now. 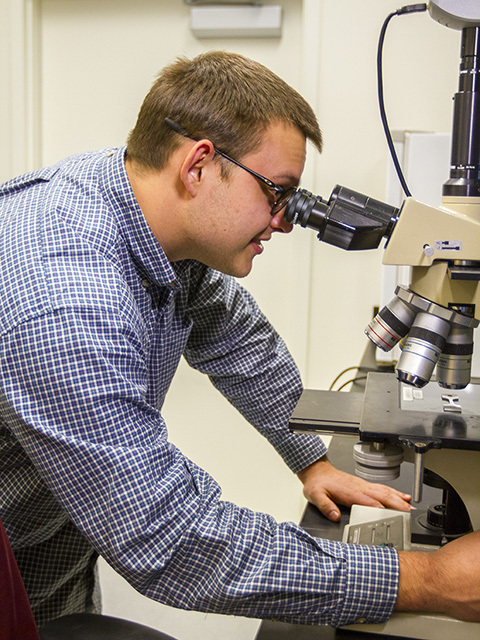 A unique collaboration between researchers within the Ira A. Fulton Schools of Engineering has wedded two previously disparate solar technologies, resulting in significant improvements to cadmium telluride (CdTe) thin-film solar cells. Their impressive inventions offer a new approach to this problem in materials science and take another step toward lower-cost and widely accessible solar power. In a paper published today in the journal Nature Energy, researchers led by electrical engineering Professor Yong-Hang Zhang and Assistant Professor Zachary Holman detail the results of their collaboration, which include not only breaking an efficiency record with a large margin for monocrystalline CdTe cells, but more importantly, also achieving the highest open-circuit voltage ever recorded in this type of cell. Open-circuit voltage is one of the very key factors determining how efficiently electricity can be generated from sunlight by a solar cell — voltage measures the potential for the solar cell to pump electricity around a circuit. High voltage is created when light is absorbed in a solar cell, exciting electrons by shaking them off their atoms. The electrons then build up on one side of the solar cell, like at the negative terminal of a battery. Engineering a solar cell with high voltage is challenging because the excited electrons can be lost within microseconds or even nanoseconds of sunlight hitting a solar cell. 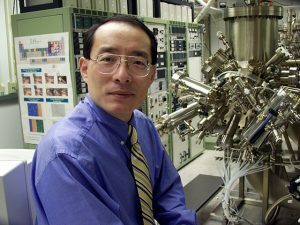 Thus, a goal of solar cell research is to extract the electricity before it dissipates, which is generally accomplished by adding conductive contacts to the top and bottom of a solar cell, according to Zhang, who also an Associate Dean for Research of the Ira A. Fulton Schools of Engineering. “However, the traditional contacts are made through introducing impurities in the solar cell absorbing layer, which can degrade the device performance dramatically,” said Zhang. To overcome this dilemma, Zhang, Holman and their research teams did not introduce a p-type impurity to the absorber layer but instead added a separate contact layer of low-cost amorphous silicon. In doing so, they’ve created a solar cell that has a substantially improved capacity with a voltage of 1.1 volt, an unimaginable feat even one year ago. While attaining this level of voltage is significant, the cells have also reached 17 percent efficiency, breaking the record of only 15.2 percent for monocrystalline CdTe solar cells. While other types of solar cells, such as silicon, boast a best efficiency rating of around 25 percent, such a dramatic improvement in CdTe efficiency shows promise for the scaled use of the technology. Zhang’s next goal is to reach 20 or even 26 percent efficiency with CdTe cells in the next year or two. While silicon solar panels dominate the market, there are about 10 Gigawatts — enough to power 2.5 million homes — of CdTe solar panels in use worldwide today. In fact, the Tempe, Arizona, based First Solar is uniquely positioned to leverage the improved technology as the world’s largest manufacturer of thin-film solar cells. While the impact of the findings on the solar industry remains to be seen, these impressive results are a product of seamless cooperation between Zhang and Holman’s respective research teams. 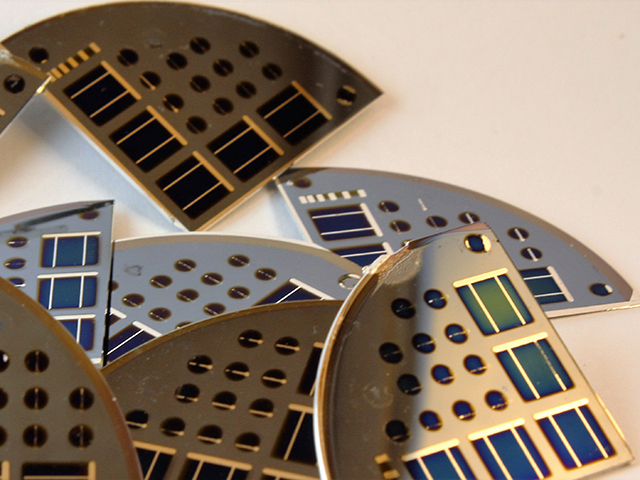 Though Zhang and his group initially conceived the underlying concept of these breakthrough solar cells, it took them more than two years to improve the materials needed to fabricate them. They also called upon Holman’s expertise in silicon solar cells to marry two very different semiconductors to achieve these unique and efficient properties. Zhang and Holman look to use their respective expertise to collaborate in the future as well. 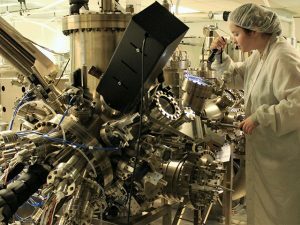 “We’re exploring the possibility of developing a tandem solar cell, basically two complimentary solar cells that would stack on top of one another, further boosting efficiency,” said Holman. While plans are underway for further collaboration, the professors’ research teams are still hard at work. While this paper only covers findings within the last year, both Holman and Zhang’s groups have demonstrated improved results within the past five months, which they are slated to present at the upcoming Institute of Electrical and Electronics Engineers’ Photovoltaic Specialists Conference in Portland, Oregon, in June 2016. 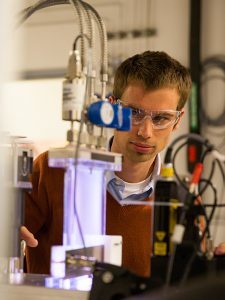 The research was mainly supported by funding from the U.S. Department of Energy’s Bay Area Photovoltaic Consortium (BAPVC), a collaboration between universities, industry and government dedicated to improving photovoltaic technology, jointly led by Stanford University and University of California Berkeley. 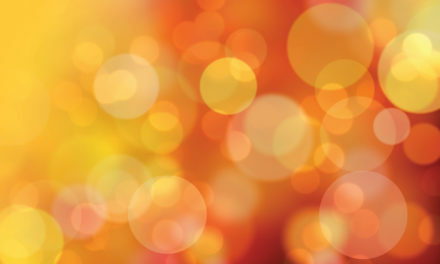 Additional funding was supplied through Quantum Energy and Sustainable Solar Technologies (QESST), one of the four National Science Foundation-funded Engineering Research Centers at the Fulton Schools at ASU. 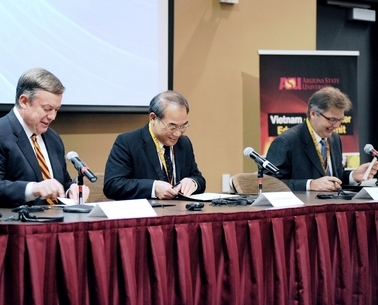 Initial support for this research came from the Science Foundation Arizona in 2007, and following funding from the National Science Foundation, the Army Research Office, the Air Force Research Laboratory and Air Force Office of Scientific Research have paved the way to enabled many of these new ideas developed in the past 10 years, according to Zhang. NextCan 50% of the power grid come from renewables? Better forecasting, management is key.